It is with deep sadness and heartbreak that we announce the passing of Eva Mildred Tetzlaff (Burnett) on February 12, 2019. After a brief battle with cancer, Eva passed away peacefully, with her family by her side. Eva was born in Russell, Manitoba on June 14, 1937 to Bill and Ethel Burnett. She was raised in the community of Binscarth where she attended school. After graduating from high school, Eva attended Teacher’s College in Winnipeg. 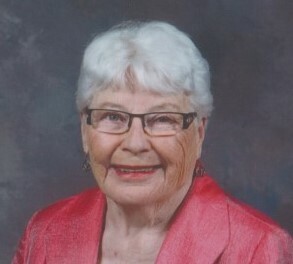 Her teaching career began in Inglis in September of 1957 where she taught until 1961. It was in Inglis, that Eva met Clifford Tetzlaff in 1959, and they were married on July 9, 1960. They took over the family farm later that year where they raised their three daughters – Joanne, Heather and Nancy. In 1974 Eva returned to the teaching profession, first in Inglis and then in Russell until she retired in 1992 after a 22 year career in education. Clifford and Eva farmed until 1998 when they sold the farm and moved to a new home in Binscarth, where they resided at the time of her death. She was involved in many community activities and the Bethany Lutheran Church including leading the junior choir, teaching Sunday School and the ladies group. She enjoyed travelling, curling, golfing, camping, gardening and visiting family. Some people go south for the winter – Eva and Clifford went to the curling rink. The highlight of her curling career was being able to curl with her daughters and then her granddaughters and winning the Stewart Trophy at the Manitoba Ladies Curling Association Bonspiel in Winnipeg with her girls. Eva will be lovingly remembered by her husband of 58 years, Clifford, her daughters Joanne (Allan) Zimmer, Heather (Brent) Ewasiuk and Nancy (Kevin) Meadows and the joy of her life – her grandchildren – Allison (Tyler) Quist, Dallas (Amanda) Zimmer, Ashley and Bryce Ewasiuk, Melissa Meadows, and her great grandson Buck Zimmer, her sister Elnore (Garry) Goral, sisters-in-law Margaret Burnett , Eva (Cliff) Taylor, and Val Royan, and brother-in-law Walter Tetzlaff, along with numerous nieces and nephews. She was predeceased by her parents, Bill and Ethel Burnett, siblings George, Melvin, Jack and Helen, in-laws Reinhold and Ella Tetzlaff, sister in-law Bev Tetzlaff and brothers-in law Howard Hagglund and Ivan Royan.